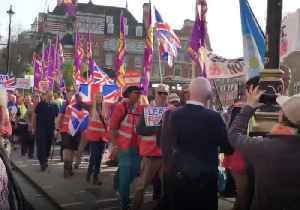 The demonstrators marched through the city to demand a new Brexit referendum amid the chaos of Britain's planned departure from the bloc. Hundreds of thousands of people opposed to Britain's withdrawal from the European Union marched through central London on Saturday (March 23) to demand a new referendum as the deepening Brexit crisis risked sinking Prime Minister Theresa May's premiership. 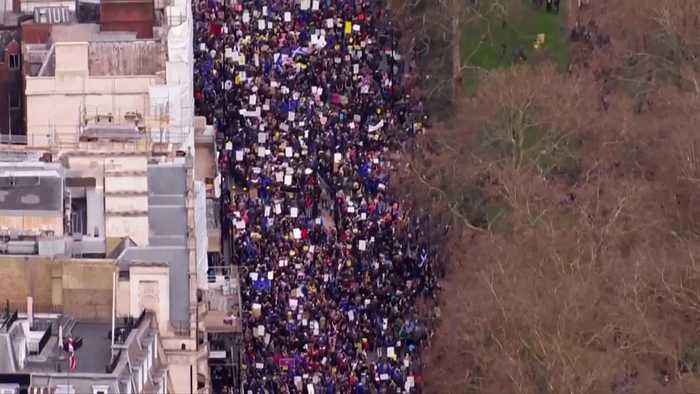 Marchers set off in central London with banners proclaiming "the best deal is no Brexit" and "we demand a People's Vote" in what organisers said could be the biggest anti-Brexit protest yet. 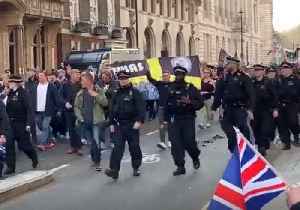 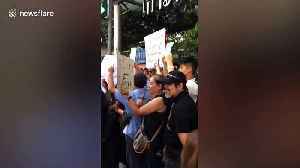 Organisers of the march were confident that the size of the crowd would exceed a similar rally held in October, when supporters said about 700,000 people turned up. 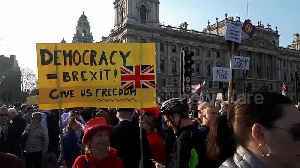 Protesters crowded at Parliament Square in London, United Kingdom, on Friday, March 29, to rally in favor of a swift exit from the European Union, according to media reports.The march through London,.. 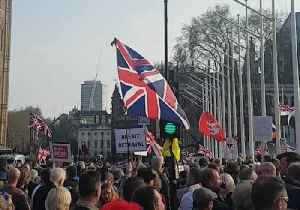 Protesters taking part in a ‘March to Leave’ demonstrated outside parliament buildings in London, United Kingdom, on Friday, March 29.Many waved signs reading “Believe in.. 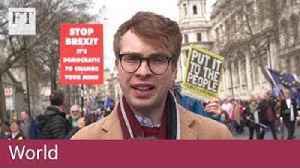 Protesters calling for the United Kingdom’s exit from the European Union (EU), or Brexit, marched to Parliament Square in London on Friday, March 29, as parliament voted ‘no’ for a..